NOTE: For your convenience the VPSA Office – Budget & Finance area will complete the “Actual Income-Expense Form” for your respective area(s). In order to include at least 5 months of the current year income/expenses, we will provide this form to you no later than Wednesday, February 6th. NOTE: If you have a presentation or other supporting information you wish to provide the SSF committee, please let Luzi Espinoza know so she may arrange to receive that information prior to your scheduled presentation date. We will distribute any documents and upload your presentation to the committee and designated laptop. This will improve time efficiency and allows you the full designated time to present and answer questions. Presentations are scheduled for Monday, February 18th in Room 230B in the Lowman Student Center. 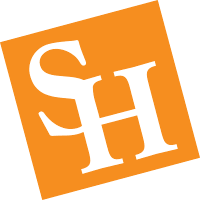 Questions related to the budget forms should be addressed to Lynn Clopton, Director of Finance & Budget for Student Affairs at (936) 294-1780 or clopton@shsu.edu. All other questions should be addressed to Dr. Keith Jenkins, Associate VP for Student Affairs, Chair of Student Service Fee Committee at (936) 294-1871 or kjenkins@shsu.edu.